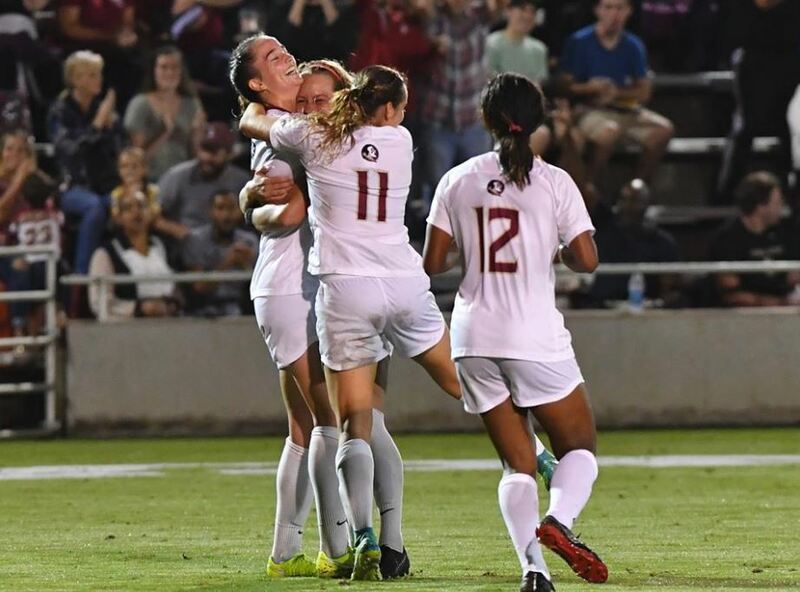 In the same year that Florida State athletics celebrates 50 years of women’s sports at the university, the FSU women’s soccer team took home the national title. 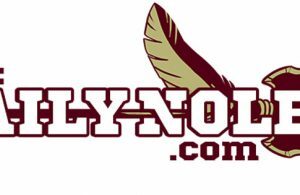 The Seminoles defeated the North Carolina Tar Heels 1-0 on Sunday afternoon for their second championship in five years. It did not look that way in the first half. 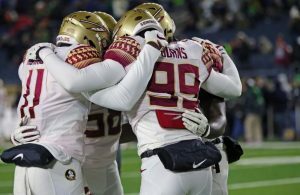 Florida State continued the trend of slow starts all the way into the title game, as it kept giving possession to the Tar Heels and generally failed to create opportunities of their own (at least, until the final 10 minutes). But the defense held strong and Florida State actually outshot the Tar Heels 6-2 in the half. As the numbers indicate, it was not much of a game for those who love offense. The second half was where the drama picked up. Each team traded shots and began to press more than they did in the first 45 minutes. It finally led to a scoring opportunity for Florida State. In the 59th minute, Dallas Dorosy checked in for Kristen McFarland and made a play less than 10 minutes later. Deyna Castellanos broke free down the right side and began looking in for a cross. Thanks to her superb touch, she made a beautiful pass through a defender’s legs and gave Dorosy a chance to convert. Dorosy chipped it in from a short distance, and the Seminoles led 1-0. From there on out, it was focused on North Carolina trying to respond. The Seminoles began laying back and sniffing out any potential shots, but they were not entirely successful. The Tar Heels continued to get balls into the box and force backup-turned-starting goalkeeper Caroline Jeffers to come out. She did this very successfully and prevented dangerous threats to the Seminoles’ lead. With one minute left, North Carolina took its final opportunity from the corner. It was cleared, and a Florida State victory was in sight. As the final seconds ticked off the clock, the team ran on to the pitch in elation. 2018 had not played out like most thought it would. 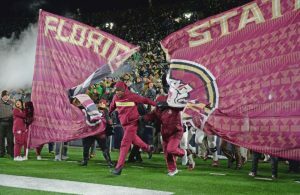 The Seminoles earned just a No. 7 seed in the ACC Tournament and shocked many by defeating North Carolina in that game as well. In the national tournament, they had a close call with USC and were not the favorite against an unbeaten Stanford team riding a 40-plus match win streak. None of it mattered. Head coach Mark Krikorian knew his team’s strengths and he knew what they were capable of. College soccer is no different from any other level of soccer — when your team gets hot, they can ride that momentum all the way to a title. Florida State did just that with its second soccer national championship in the past five seasons. Along with their six College Cups since 2010, there is now an argument that FSU soccer is the top program in the nation. All in the same calendar year where Florida State chose to highlight its history as a women’s college. It is the second national championship in 2018, with the softball team winning their first in program history back during the summer. What’s scary? This might be just the beginning of a new dynasty.